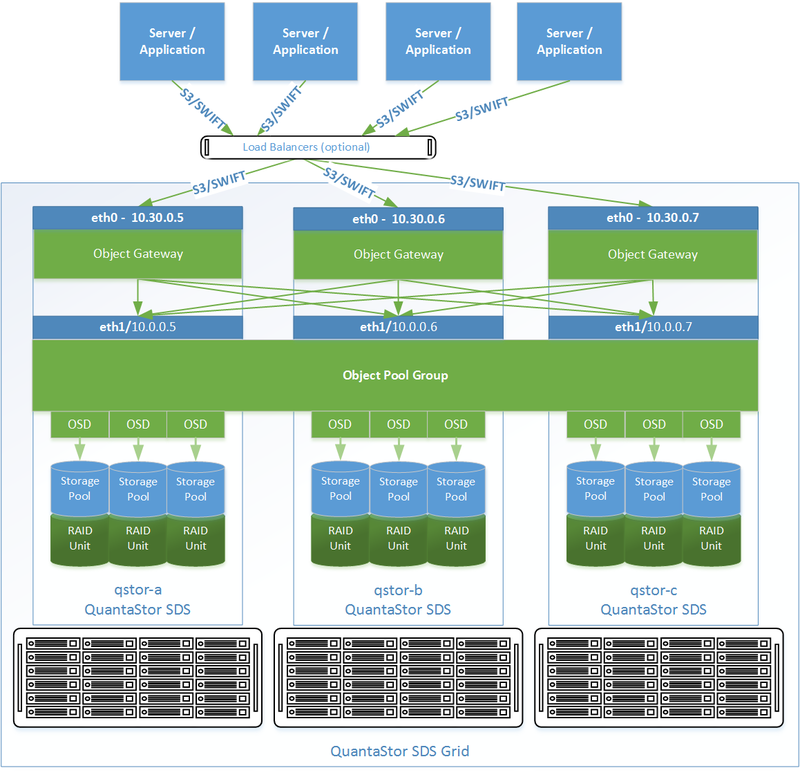 QuantaStor supports scale-out object storage via the S3 and SWIFT compatible REST based protocols with scalability to 64PB of storage and 64 systems per grid. 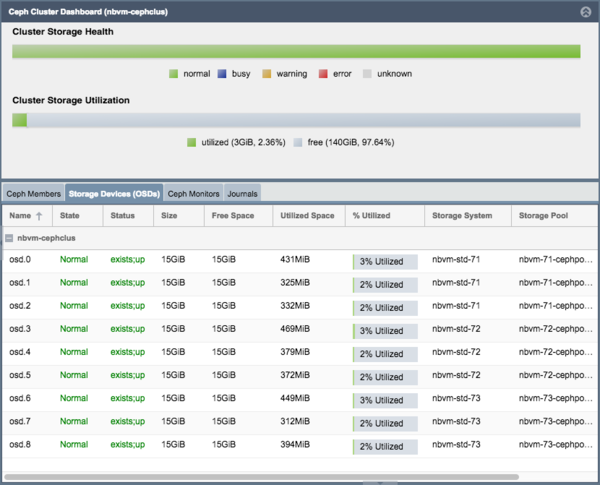 QuantaStor integrates with and extends Ceph storage technology to deliver scale-out block and object storage (S3/SWIFT), this section is focused on object storage configuration. This section will introduce the various component terminology and concepts regarding Ceph to enable confident creation and administration of a Scale-out Object solution using QuantaStor and Ceph. 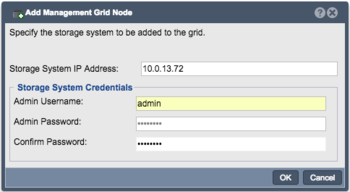 Update the configuration of each network port using the Modify Network Port dialog to put it on either the front-end network or the back-end network. The port names should be consistently configured across all appliance nodes such that all ethN ports are assigned IPs on the front-end or the back-end network but not a mix of both. When the S3/SWIFT checkbox is selected the port is now usable to access the QuantaStor web UI interface as it redirects port 80 traffic to the object storage daemon. 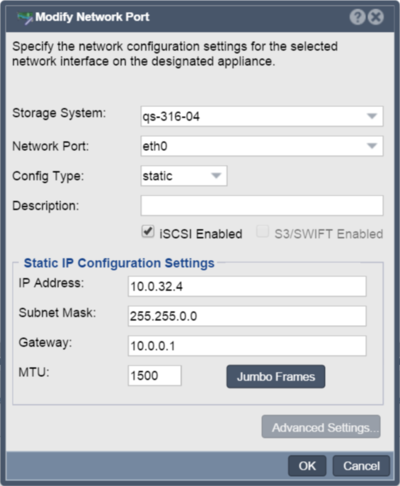 Note, this will disable port 80 access to the QuantaStor Web Manager on the network ports where you enable S3/swift access. Note, you can use other network connections or HTTPS for web management access. Each system has a fully qualified domain name (FQDN) such as qstor1.example.com. In this example the example.com portion of the FQDN is called the domain suffix. In order for QuantaStor to properly setup the Object Gateway for S3/SWIFT access the domain suffix must be specified as this is used in the URLs for object gateway access. 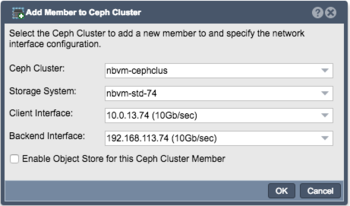 If they're not setup correctly, the system will present a warning in the Ceph Member list view. In order for applications and servers to use the object storage they'll need to be able to resolve the fully qualified domain names (FQDNs) of all the systems to their IP addresses. 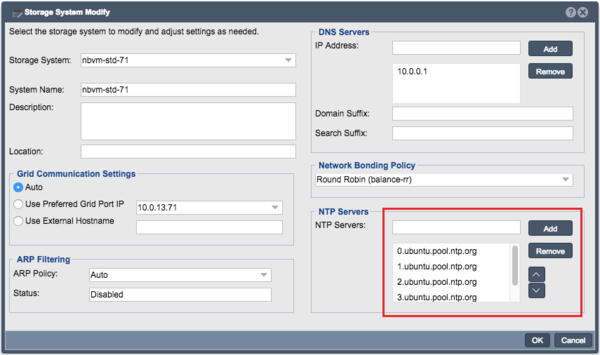 Further the DNS names should resolve to the front-end network port IP addresses which are accessible to the client applications and servers using the object storage. 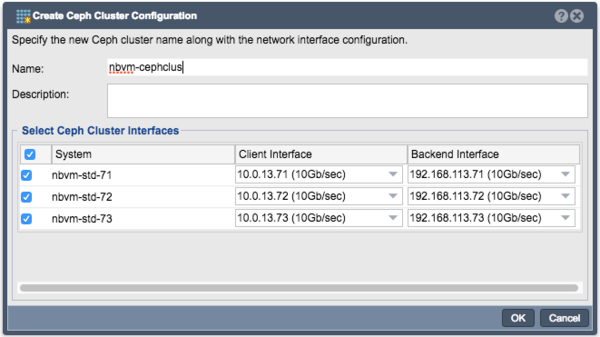 This requires configuration of the DNS settings in QuantaStor which is configurable in the Modify Storage System dialog. Once the primary and secondary DNS servers are specified be sure to ping those IP addresses from a computer on the network to make sure that the names are properly resolving to the correct IP addresses. If not, please consult your DNS server configuration and documentation. 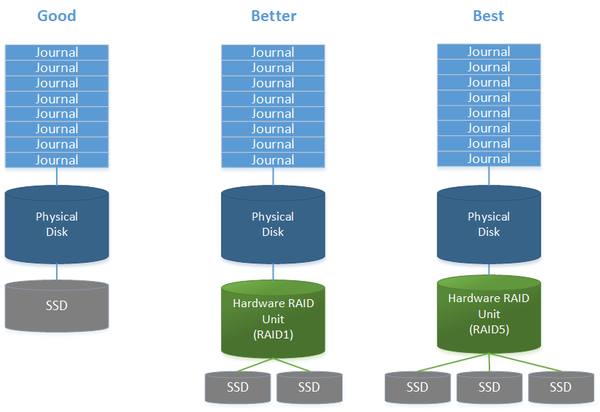 An Object Storage Group is a group of Ceph Pools that are all used to deliver S3/SWIFT object storage. 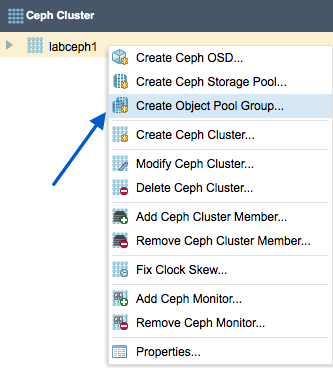 QuantaStor automatically creates all the necessary Ceph Pools when you create an Object Storage Group, simply select which cluster to create the group in and give the group an administrative name. 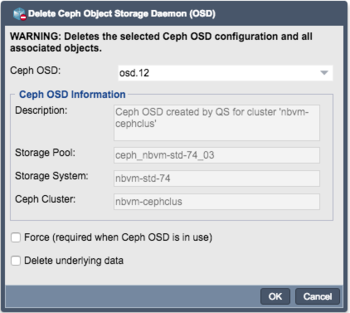 A default Ceph Object Storage User Admin called 'qsobjadmin' with unique generated Swift and S3 access and secret keys will be created. This user cannot be deleted, but it can be disabled if you would prefer to use your own custom created admin user accounts. Normal Users can be created and given specific access via S3 and Swift API calls using an Object Storage Admin user account such as the default 'qsobjadmin' account created at the time of the Object Storage Pool Group creation. 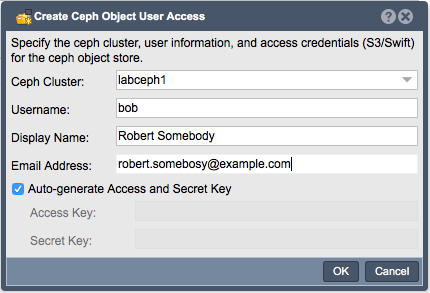 You can also create your own users with admin access via the Create Ceph Object User Access Dialog. A username is the only required option for the dailog. We also provide descriptive fields for a full name and email address. You can also specify custom Access Keys. Once you click OK the new user with the chosen username will be created and given admin access to the Object Storage. Note: you can create admin users via the QuantaStor API and qs ceph-user-access-entry-create CLI command, this can be helpful if you are looking to automate user access creation. Resources Domains will be available beginning with the QuantaStor 4.1 release. Resource Domains are a simple grouping mechanism so that the location of the systems/nodes can be designated. A Resource Domain is one of a host, rack, building, or site and one can create a tree hierarchy of resource domains and then attach QuantaStor systems at any level. In simple configurations where all the systems are in the same rack and same datacenter there's no need to provide the Resource Domain information. 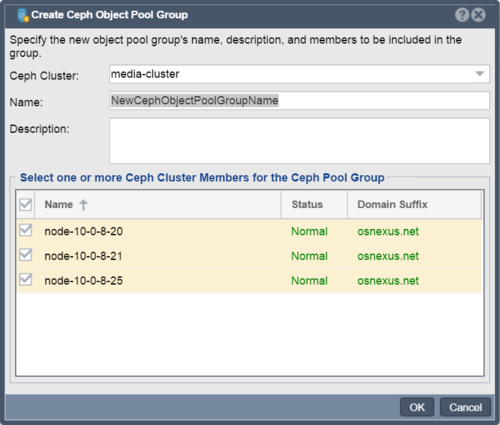 But for multi-site deployments it's important because it provides QuantaStor with the necessary information to generate the proper Ceph CRUSH map for your Ceph Pool and Ceph Object Storage Groups. To add the Resource Domain information use the Add Resource Domain dialog, or use the QuantaStor CLI. This page was last modified on 17 April 2019, at 07:50.